Children’s Vision - Charles Bittel III OD, Inc.
As one of the five senses, vision is an important part of your child’s growth. If your child is in school and unable to see the information that is presented visually, they may be at risk of having their academic performance negatively affected. Be sure that your child gets routine eye exams to detect any signs of nearsightedness, farsightedness and/or astigmatism so that any treatment may be addressed early on with eyeglasses or contact lenses. 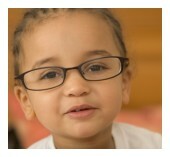 Routine exams also make sure that your child has healthy eyes, important for their vision development. Ensure the health of your child’s eyes and feel free to contact our office to schedule an eye exam with one of our doctors in Yorba Linda today. We will gladly answer any of your questions and provide you with the best treatment options available to you and your child.